I have made a wonderful friend from the US through Make up alley called Michelle, she has a wonderful blog also & i would love it if you could check it out! 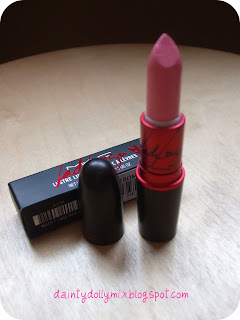 As soon as i knoew the Lady Gaga Viva Glam lipsticks were out in the US i knew i needed to have it, so Michelle kindly offered to send me two, greedy girl i know! In exchange for some sleek goodies! I received them last week & they are absolutely beautiful! 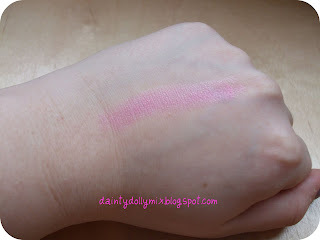 Such a gorgeous, bright but sheer pink! Theyre out in the UK on Monday 15th March & are available for a year, if i were you i would snap one up! Anyway, i shall let the pictures speak for themselves! Will you be ordering this lipstick? I'm hosting a giveaway.. feel free to enter. I'm going GAGA over you ;) haha! I really want both of them, it's a great cause and they're two women i really admire, but at the moment i'm really poor, i heard they were sticking around for a year, do you know if that's true? LOVE it, you look gorgeous! I really hope they are out for a year! You are such a Doll!!! It looks so good on you I am glad you like them! 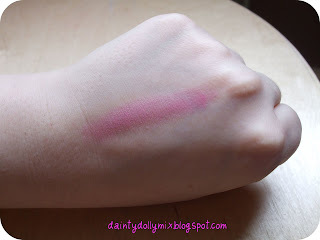 LOOK at the Liberty of London Swatches on Temptalia, Sinead your going to dieeeee they are SO GORGEOUS!!!!!!! XOXO♥ hope your good girlie! i wear mine daily and love it!! it works for all skintones... yay! 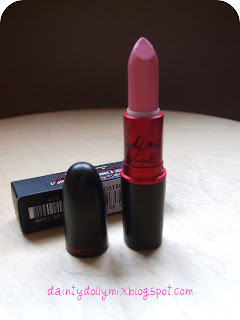 I LOVE Lady Gagas new Viva Glam lipstick. 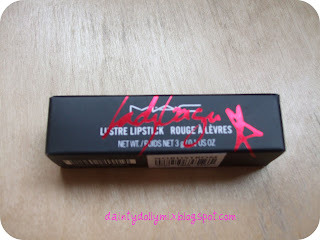 It looks great with Magenta lip pencil. It is definitely a universal color. Check out my blog when you get a chance, Doll. I own one, I think I'll buy a back up! You never know what can happen! 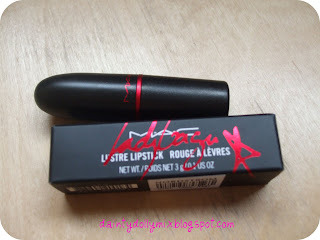 I love it :) I think I'm also getting Cyndi Laupers too, it's a very wearable red! Great color! And it looks really nice on you! !